Is the Russia-Belarus exercise Zapad 2017 is a reason for concern for NATO? Russia-Belarus exercise Zapad 2017 started today. Experts are asked what the most important strategic objectives of the Russia-Belarus exercise Zapad 2017 are, especially from the Russian point of view and whether Zapad 2017 is a reason for concern for NATO. Will tensions between the West and Russia run high during the exercise? The main strategic objective is to train and if possible consolidate the capability to launch and wage high-intensity war fighting operations on the war-theatre level. I base this on an analysis of Russia’s strategic military exercises in 2011 – 2014 report and on (yet unpublished) work covering 2015 and 2016. The West should worry about Russia’s capability intentions, what type of wars they want to be able to fight, not that this exercise takes place in Western Russia and Belarus right now (it does once every 4 years). Tensions are political. The military exercises are in my understanding primarily for building military capabilities. I do not expect the exercise as such to create more tension than there already is. Yes, there is a theoretical higher risk of incidents since there will probably be more reconnaissance aircraft and ships active than usual. There are three elements to this exercise. First, Russia is testing its ability to command combined arms formations and the logistics involved in moving heavy ground forces into the Baltic region. Second it is a large civil-defense drill designed to test how the military and civilian authorities would behave at a time of total war, de facto mobilization of the state for a conflict with an existential threat. In that respect it tests the National Guard and other authorities in their response to internal instability, protests and the like. Finally the exercise is important in signaling to the United States that Russia has the capability and resolve to intervene in Belarus, defend its interests, and see NATO down in a potential fight. The scenario is defensive but some elements of Russian strategy are principally offensive since they involve compelling the adversary during a crisis or conflict. Absolutely, any time a country conducts large scale military exercises it is a time for prudent vigilance and caution on the part of neighbours. This is especially so because Russia has a mixed history of having used some announced and unannounced exercises in the past to prepare for combat operations against another state, most notably Kavkaz-2008 and the snap readiness inspection in February 2014. Tensions do run high in the context of the wider confrontation between Russia and the West, but few truly expect this exercise to be a prelude to some nefarious plan, or risky adventure. 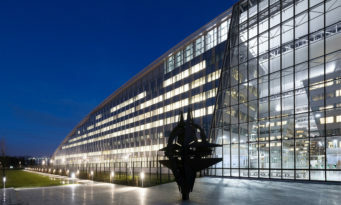 Most of the reactions among NATO members have been calm, although there is always some unfortunate panic and media sensationalism that takes place during such events. A major military exercise like Zapad 2017 generally has many objectives, ranging from narrow military aims to overtly political ones. What the most important strategic objectives of Zapad 2017 are from the Russian point of view is hard to determine with certainty. There are probably several such objectives and their relative significance will likely vary among different actors. From the military perspective, the exercise will be another occasion to test new concepts, including lessons learned in Ukraine and Syria. On the more political level, to show the Russian population, notably in Kaliningrad, as well as NATO that the Russian military is able to move quickly to defend the exclave may be another objective. 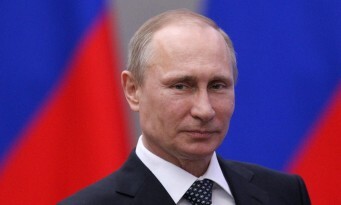 Russia might also want to intimidate Belarus and other neighbours. More generally, military prowess has been a key tool in Putin’s attempt to re-establish Russia’s status as a “great power” in international affairs; including in Europe and the Middle East. Showing off military force, including in highly publicised exercises, is seemingly also useful for the Putin administration in domestic political mobilisation. The massive attention Zapad 2017 has gained in both Russian and international media is in itself a sign that such exercises are a highly useful political tool. The speculations that Zapad 2017 might be a cover for plans to invade the Baltic states or Ukraine seem to be just that – speculations. Russian officials have obviously rejected such accusations and it is hard to see what Russia would want to achieve with such a military adventure. There is thus more reason for worry regarding situations where NATO and Russian military forces come close and where accidents or unplanned and unfortunate events spin out of control. Both sides are aware of this danger and will presumably seek to maintain safe distances and quickly deescalate if necessary. The most tangible and obvious concern from the point of view of NATO is of a political nature, however. Russia has claimed that only 12 700 personnel and a small number of military equipment will be involved in the exercise, bringing it below the threshold in the Vienna Document for inviting observers. Much suggests that the total military manpower and equipment that will be involved in the series of other exercises that run in parallel with the official Zapad 2017 will be vastly larger – perhaps up to 100 000. If this is the case, Zapad 2017 will represent a blatant Russian violation of the spirit if not the letter of the Vienna Document. 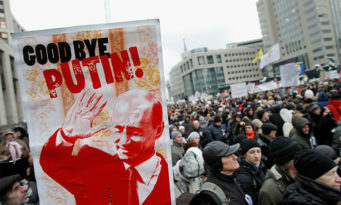 It will thus represent yet another setback for arms control and confidence building in Europe. This is a bit of a speculation but we can assume that Zapad 2017 might serve the following interests/objectives for Russia. First, there is the declared aim of conducting an exercise against a simulated terrorist or asymmetric threat. 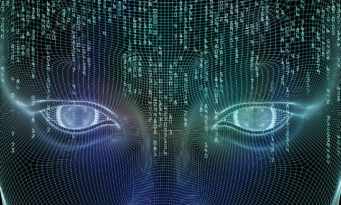 But, in addition to that, it is likely that Russia is also keen to display its power and in particular to emphasize its ability “to impose substantial costs on a technologically advanced adversary, i.e. the United States” (see the very good piece from War on the Rocks that covers Russian thinking – https://warontherocks.com/2017/08/what-to-expect-when-youre-expecting-zapad-2017/ ). To cite the same piece, Zapad is also a way to establish Russia’s coercive credibility. Is Zapad 2017 a cause of concern for NATO and a possible source of tension? That may be overstating it. Apprehension sure, but tension is too strong a word. It is true that Russia staged large drills before the conflict in Georgia in 2008 and before annexing Crimea in 2014. And Russia is most likely dramatically understating the number of troops involved in Zapad 2017 (announcing 12,700 troops, which puts it just under the threshold of 13,000 by which Russia would have to invite outside observers). But on the other hand, there are plenty of reasons to keep Zapad 2017 in perspective. Many countries conduct such exercises, and Russia has conducted many before that were not prelude to actual operations. Moreover, part of the exercises will take place well inside Belarus and from a healthy distance away from the Polish and Lithuanian borders. Not to mention that it would be quite foolish for Russia to try and use the exercise as a smokescreen for an actual operation when NATO states are keeping a close eye on the region. The overall objective of Zapad is to test how Russia, its C2 structures, armed forces units, and civil organisations will react if country went to war with NATO. Zapad has always had an anti-NATO character so it should not at all be surprising that NATO is target here. That said, Zapad is much more than a military exercise. A significant part of country’s C2 structures, civil organisations are involved in Zapad as Moscow will want to see how they mobilise, move, develop, conduct operations in a state of war or increased emergency. The current movement of troops, readiness tests (such as the one from early September that tested readiness of the 11 ICBM regiments) likely fall under what Russia’s call a “threatening period”. This is when Moscow realises that threats are real. These threats need to be addressed by troop deployments, flexing muscles, and improving readiness. These moves are also a part of Zapad. How Russia mobilises pre-official start of Zapad will also be closely assessed by the civil-military leadership post-exercise. In short not really. Zapad is going to be provide a great insight on the progress of the Russian Armed Forces reforms, how and how quickly it mobilises, how it seeks to deter potential adversaries. We should learn from it and how to be afraid of it. It is very likely that aircraft will be intercepted over the Baltic Sea by both sides, NATO will deploy SIGINT and ELINT assets to take a peek into what’s going on in the Kaliningrad Oblast. I don’t expect tensions to run higher compared to what we have experienced in the past two-three years. In conducting these large capstone exercises, Russia has pursued both military and political aims. On the military side, Russia seeks to highlight its abilities to conduct large-scale joint operations that involve multiple branches of its armed forces and require the activation of logistics networks that include the transfer of forces from one part of the country to another. Zapad 2017 and other exercises in this series also seek to develop military cooperation between Russia and Belarus, since Belarus is Russia’s most capable military ally and serves as a critical buffer zone between Russian and NATO member states. What’s more, a NATO intervention in Belarus is seen in Russia as one of the most likely causes for a major military confrontation between Russia and the West. On the political side, Zapad-2017 is aimed at deterring the West by highlighting Russia’s preparedness to counter any aggressive actions by NATO or its individual member states. Despite Western perceptions of Russian aggressiveness, Russia continues to feel relatively weak when compared to the United States and its allies. As a result, it seeks to highlight its capabilities to defend itself, against both a direct attack and regime change efforts. The recent Western media stories highlighting the potential size of the exercise are very helpful in Russia achieving this goal. NATO should treat Zapad 2017 as an opportunity to study the Russian military’s strengths and weaknesses and also its defensive strategy for its Western border. I don’t see any reason for tensions to be high during the exercise, except for the misplaced concerns expressed by politicians in neighboring NATO states about the possibility of the exercise being a cover for a Russian invasion. Statements that Russian military exercises on its borders are inevitably a precursor to foreign intervention are a prime example of selection bias. 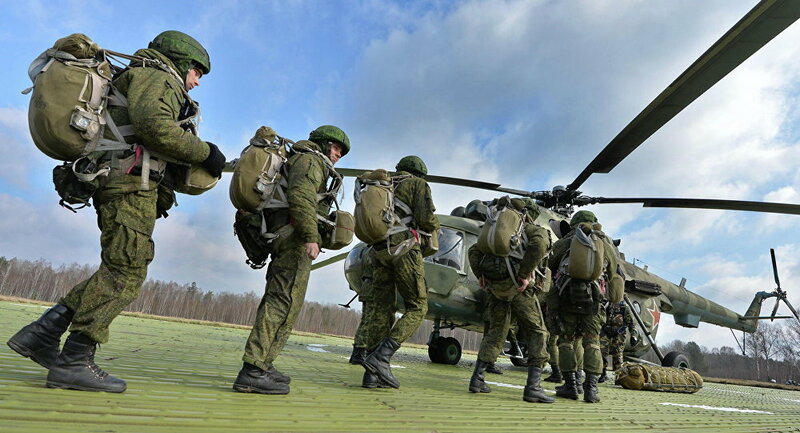 Russia conducts military exercises on its borders many times a year, usually with little notice from non-specialists. Only on two occasions have these these exercises been followed by foreign interventions, and in both cases these took place during major international crises, not as a surprise attack. Russia has repeatedly indicated that it is not interested in a forceful intervention in the Baltic, both because it has no desire to occupy hostile territory and because its leaders continue to have faith in NATO’s willingness to back its Article 5 guarantees to its Baltic member states with armed force.